Search engine optimization (SEO) is about improving the visibility of a site in a search engine's "organic" (or unpaid) results. So you can drive more visitors to your site that might convert into sales. If you're interested in getting practical introducing to SEO and understand how SEO works. Or simply wants to drive more visitors or potential buyers to your website. You should join this workshop! You'll learn what search engines are trying to achieve and why, how to do keyword research to identify what your customers looking for, understand the basic aspect of on-page & off-page optimization, learn how to measure & analysis key metrics of SEO to finally build awareness for your website. 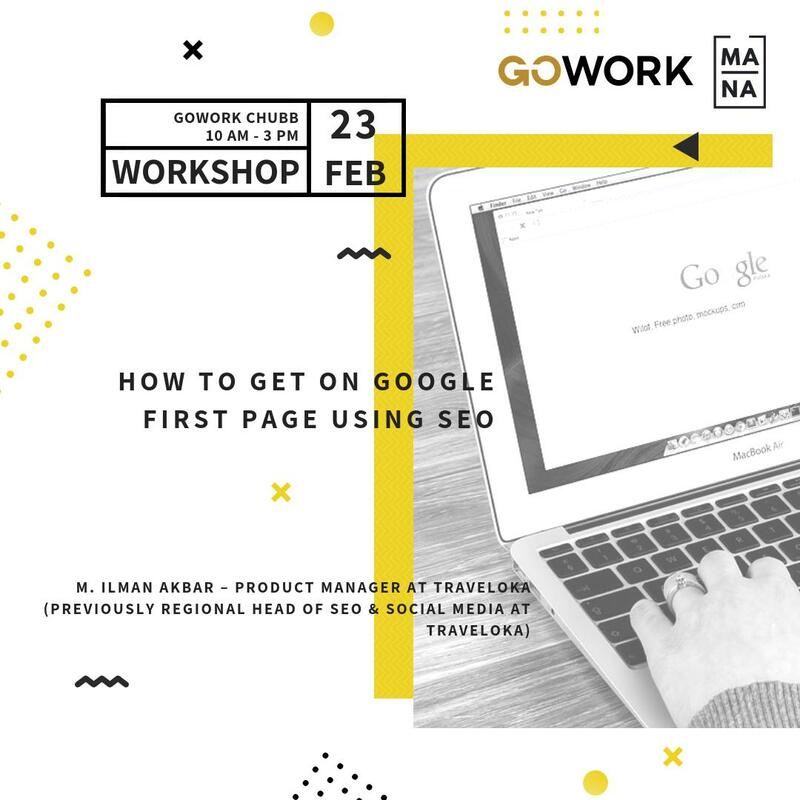 Join this workshop so you can drive more visitor to your site that might convert into sales, with less cost than using paid advertising. This is the basic of SEO class. A digital marketing professional and blogger. Positive & highly-spirited person. He is a lifetime learner, who loves to acquire new knowledge and getting inspiration from everybody, expand my network, and know more new people. Specialty : digital marketing strategy, website development & optimization, digital advertising, blogging and public speaking. For business owner or planning to open a business and publish it on google.